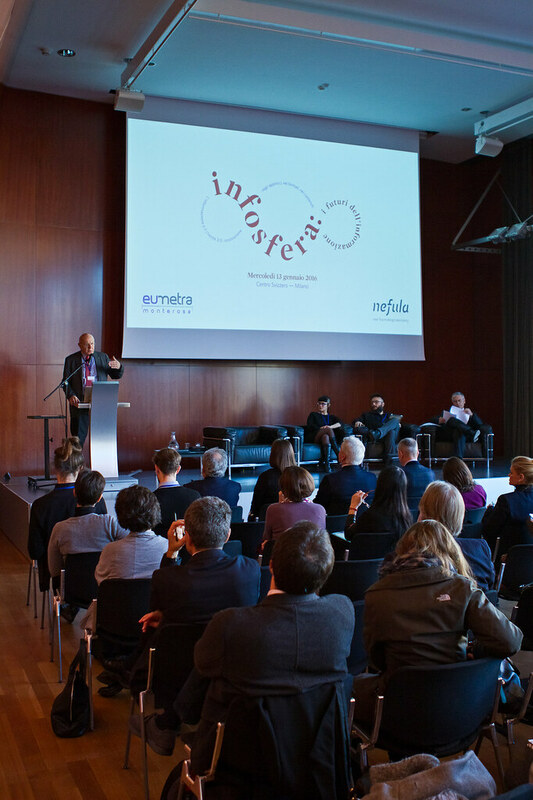 On January 13th 2016, Eumetra Monterosa and Nefula presented the results of Infosfera, i futuri dell’informazione (Infosphere, the Futures of Information). The event took place at the prestigious “Centro Congressi Svizzero” in Milan and involved more than 150 professionals, managers and researches from allover Italy. Infosfera is the first research project created combining Eumetra Monterosa’s experience and methodologies with the the Near Future methodology by Nefula, to create an integrated approach in which qualitative and quantitative analysis meet Big Data, digital ethnography, communication and design. The Third Paradise has a rich and profound history which deeply impacted us in designing the integrated approach we are experimenting with Eumetra Monterosa: a new methodology finding a third space between the analysis of self representation and the one of the influences coming from our human networks to help companies, institutions and organization to coop with the challenges of disruptive innovation. The research and the new partnership with Eumetra is an exciting and intense experience. For Infosfera we have analized for three months 1.574.841 conversations allover the world in 29 languages. The observation involved people public expressions of people on major social network (Facebook, Twitter, Instagram), web site, experts forums and online groups, detecting job announcements from more than 200 international newspapers. What patterns emerged from the research? What are people doing or talking about? What do they consider “normal”? What are the Curious Rituals? Our objective is for now to document the event, making accessible a series of sources and materials you can find below. We are working on a following article which will describe the research process and the results.